On October 25th 2017, at Posts and Telecommunications Institute of Technology (PTIT), SAVIS was the sponsor for students information security training named “Understanding and exploiting vulnerabilities with new security tools published in the form of attack and defense”. 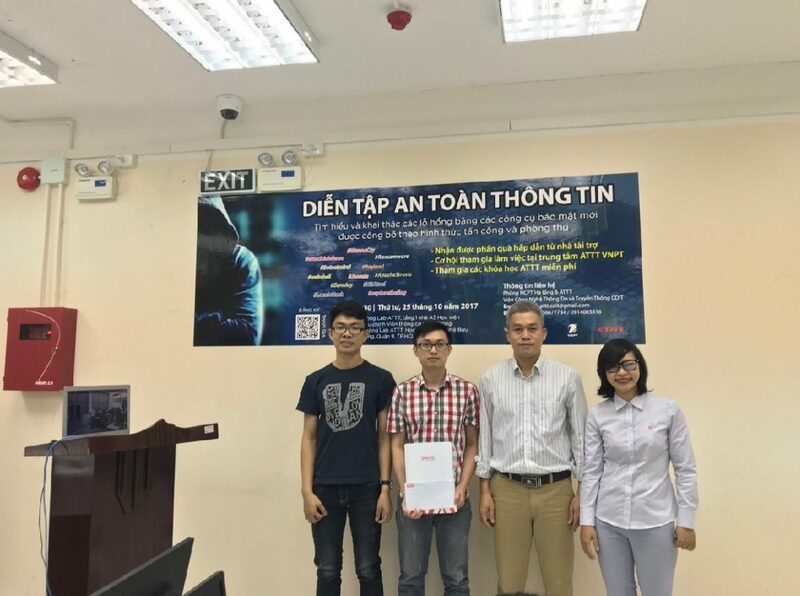 This training program will help students improve the capacity of information security and was implemented at both Hanoi and Ho Chi Minh City (video conference). Assoc. 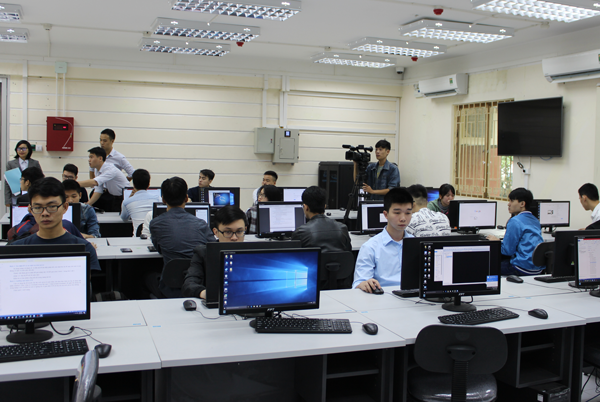 Prof.,Dr.Sc Hoang Dang Hai – Deputy Director of the Institute, Mr. Nguyen Kim Quang – Deputy Director of Institute of Information and Communication Technology, Information Security trainers attended the rehearsal; on the SAVIS side, there was also the presence of Deputy General Director To Van Ha. Through this rehearsal, SAVIS affirmed the company’s interest in the activities of the Institute and also activities of students are studying in the field of information technology. SAVIS believes that the inherent relationship between us and PTIT will be better and better and more prospects for recruiting and building our core engineering team.